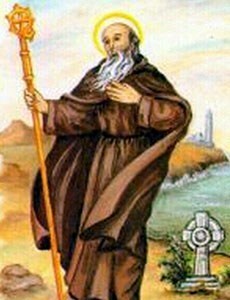 Saint Natalis of Ulster (also spelled Naile, Naul, Naal) died in 563 or 564 A.D. 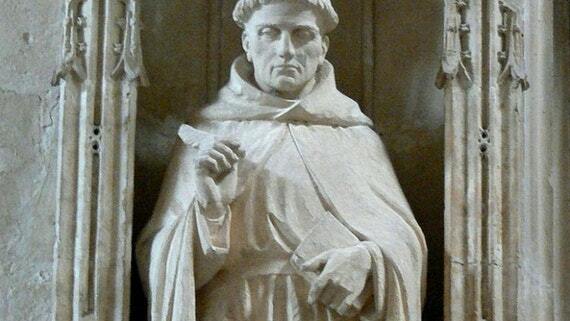 He was a monk, abbot and contemporary of Saint Columcille. Natalis was a student of Columcille (Columba). and founded monasteries throughout Ulster, serving as abbot at St. Naul’s Abbey, Inver, Kinawley (Cill Naile), Inver Naile at Raphoe, County Donegal; and Devenish Island, County Fermanagh. The handle of a bell given to him by Saint Columcille was preserved at the church in Kinawley up to the 19th century. An unnamed priest was traveling from Ulster to Meath on an important mission with his assistant, a young boy. The two stopped for the night near woods at the edge of the See of Ossory. As they lay down to sleep, the priest hears a human voice calling from the nearby forest. He gets up and looking out into the darkness and sees a giant wolf draw near. 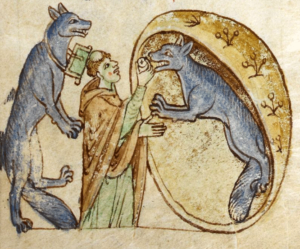 The priest and boy draw back in horror, but the wolf speaks in a human voice and tells them not to be afraid.“We are natives of Ossory,” the wolf said, “From there every seven years, because of the imprecation of a certain saint, namely the Abbot Natalis, two persons, a man and a woman, are compelled to go into exile not only from their territory but also from their bodily shape.” “But how came you by this fearsome form?” the priest asked in wonder. 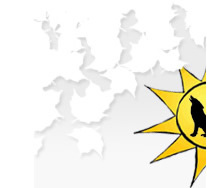 “And why must you wear it for seven years?” “I am a member of Clan Allta, a tribe of this region,” the wolf answered, “and like yourself, Father, we are believers in Jesus Christ and in the power of His salvation. However, in times long past, we were cursed for some ancient sin by the blessed Abbot Natalis.” The priest had heard of Natalis, who had come to Ireland shortly after the Blessed Patrick to bring the Word of God to a dark and pagan land. He had even read some of the holy man’s works. From what he had read, he had always imagined Natalis to be exceedingly severe and inflexible in his teachings and one who would brook no deviation from his own interpretations of God’s law. The wolf asks the priest accompany him into the woods to give the last rites to his mate, the female wolf. The priest is filled with terror that the wolf will kill him, but follows the wolf into the woods. He gives the dying wolf communion and blesses her. 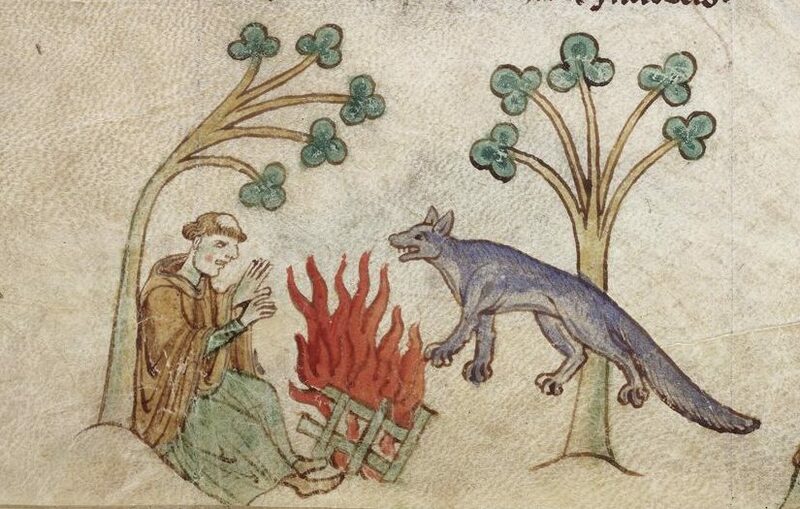 The male wolf returns the priest to his campfire and bids him farewell, loping back into the forest. The priest calls out after him saying he would return. On his way back to Ulster, the priest stopped in the woods of Ossory and searched for the werewolves but did not find any trace of them. 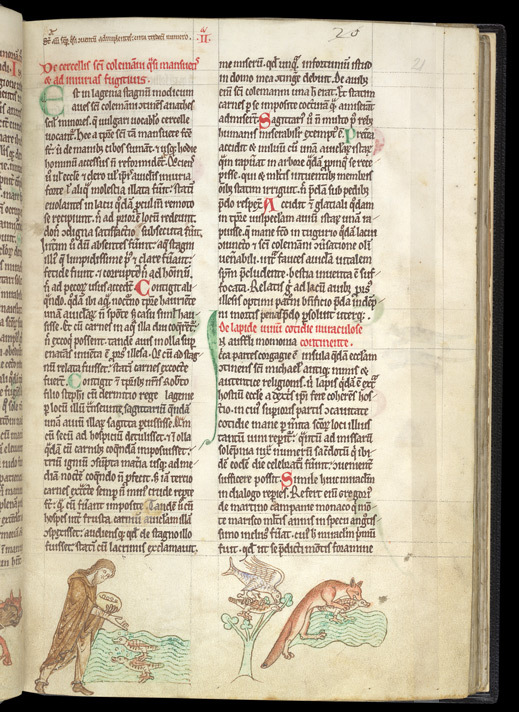 Saint Natalis (Naal) and the Werewolves first appeared in Gerald of Wales’ Topographia Hibernica, written in 1185 A.D. The incident with the werewolves and the priest was supposed to have occurred two years before Gerald’s visit to Ireland with King John in 1175 A.D. While he was in Ossory, Gerald was approached by two priests sent by the bishop to ask him his view on this “serious matter.” Gerald met with the Bishop of Ossory and set down the story in writing, which was sent to Pope Urban III. It became one of the first werewolf stories ever recorded. A Norse work written about 1250 A.D., Konungs Skuggsja (King’s Mirror), describes Irish werewolves as being humans who were cursed as a divine punishment for wickedness. The tale is clearly based on the Ossory werewolves. 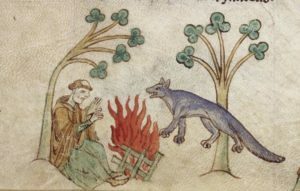 The story of Saint Natalis and the Ossory Werewolves can also be found on Omnium Sanctorum Hiberniae, Library Ireland – The Wonders of Ireland, and Dark Emerald Tales. There are seven St. Colmans from Ireland. St. Colman of the ducks legend came from Connacht. He served at the old church of Templeshanbo in County Wexford, three miles east of Mt. Leinster. A few hundred feet from the church is a holy well that was venerated in ancient times. At the time of St. Colman, a pond was close to the well. St. Colman was a contemporary of St. Aidan, who appointed him Abbot of Templeshanbo. St. Colman died on October 27, 595. His ducks stayed close to the church and pond for many, many years after. Gerald of Wales in his Topography of Ireland recorded the stories of St. Colman and his sacred teals almost 600 years after the death of the saint. According to folklore, the ducks could not be harmed. 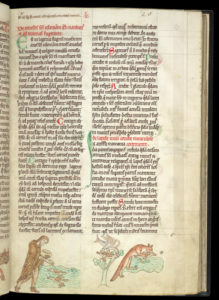 Illustrations on the lower part of Gerald’s manuscript depict the ducks taking food from the saint, a kite paralyzed by attempting to take a duck as prey and a fox choking on one of the birds. Gerald of Wales, also called Giraldus Cambrensis was born in 1146. He was an archdeacon, royal clerk and historian. Gerald entered into the service of King Henry II of England in July 1184. He visited Ireland on a military expedition (1185-86) with Henry’s son, the future King John. As a result of the trip he wrote Topographia Hibernica (Topography of Ireland) in 1188 and Expugnatio Hibernica (Conquest of Ireland) in 1189. The Historical Works of Giraldus Cambrensis, published in 1905, combined both volumes in one book. It was translated by Thomas Forester, Sir Richard Colt Hoare and edited by Thomas Wright. The story below is taken from the book. 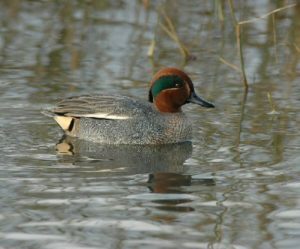 There is in Leinster a small pool frequented by the birds of St. Colman, a species of small ducks, vulgarly called teal. Since the time of the saint these birds have become so tame that they take food from the hand, and until the present day exhibit no signs of alarm when approached by men. They are always about thirteen in number, as if the formed the society of a convent. As often as any evil changes to befall the church or clergy, or the little birds themselves, or any molestation is offered to them, they directly fly away, and, betaking themselves to some lake far removed from thence, do not return to their former haunts until condign punishment has overtaken the offenders. Meanwhile, during their absence, the waters of the pond, which were very limpid and clear, became stinking and putrid, unfit for the use of either men or cattle. It has happened occasionally that some person fetching water from this pond in the night-time, has drawn up with it one of the birds, not purposely but by chance, and having cooked his meat in the water for a long time without being able to boil it, at last he found the bird swimming in the pot, quite unhurt; and having carried it back to the pond, his meat was boiled without further delay. It happened, also, in our time, that Robert Fitz-Stephen, with Dermot, king of Leinster, was passing through that country, an archer shot one of these birds with an arrow. Carrying it with him to his quarters, he put it in a pot to be cooked with his meat, but after thrice supplying the fire with wood, and waiting til midnight, he did not succeed in making the pot boil, so that after taking out the meat for the third time, he found it as raw as when he first placed it in the pot. At last, his host observing the little bird among the pieces of meat, and hearing that it was taken out of this pond, exclaimed with tears: “Alas me, that ever such a misfortune should have befallen my house, and have happened in it!” Thereupon the meat being put alone into the pot, was cooked without further difficulty. The archer soon afterwards miserably expired. Moreover, it chanced that a kite, having carried off one of these little birds, and perched with it in a neighbouring tree, behold, all of his limbs immediately stiffened in the sight of many persons, nor did the robber regard the prey which he held in his claws. 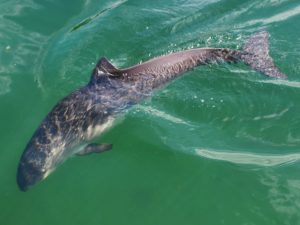 It also happened that one frosty season a fox carried off one of these birds, and when the morning came, the beast was found in a little hut on the shore of the lake which was held in veneration from its having been formerly the resort of St. Colman, the bird being in the fox’s jaws, and having choked him. In both cases the spoiler suffered the penalty of death, while his prey was unhurt, the birds returning to the lake without the slightest injury, under the protection of their holy patron. 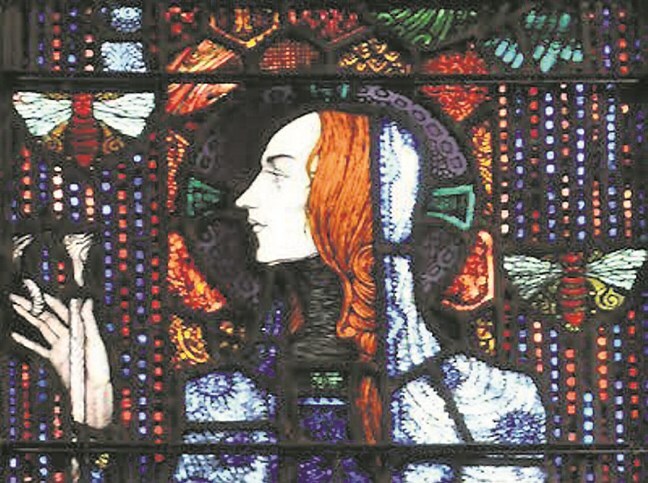 St. Gobnait is a patron saint of bees and beekeepers. Her fondness for bees suggests a calm and gentle nature. Tradition associates her with St. Abban and suggests she lived during the 6th century. She traveled south in search of this place and her many stops are marked by churches and holy wells dedicated to her. 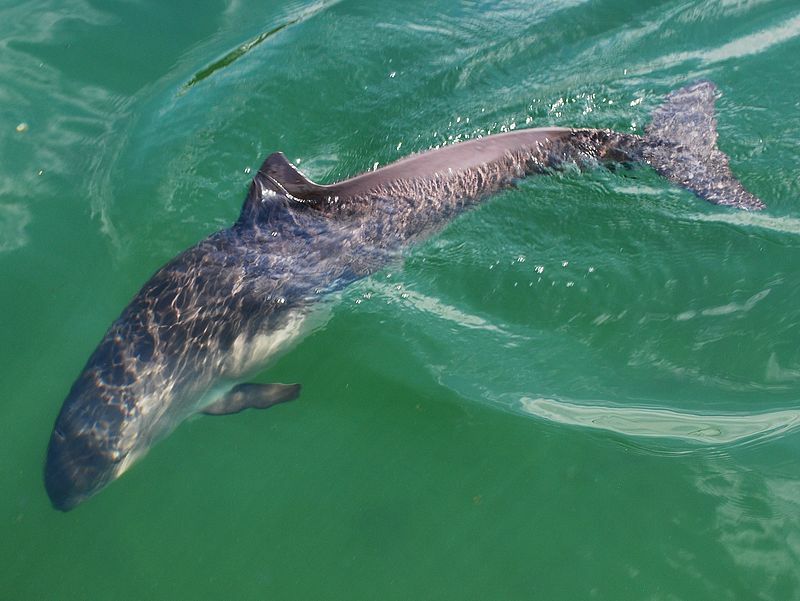 At various stages of her journey Gobnait met with deer of varying numbers but it was only when she reached Ballyvourney in County Cork that she found the nine deer. They were grazing together on a rise overlooking the River Sullane and looking towards the Derrynasaggart Hills. This is where she settled, died and was buried “to await her resurrection.” The “resurrection place” is where the soul leaves the body. Celtic lore believed the soul left the body as a bee or butterfly. St. Abban is said to have worked with her on the foundation of the convent and placed St. Gobnait over it as abbess. The nuns must have kept bees, since there are many stories about bees associated with the saint. In one story she cured one of her sick nuns using honey. 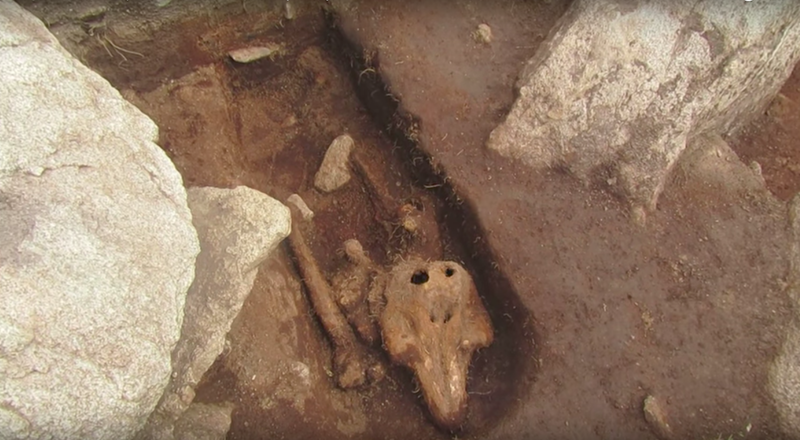 Many accounts exist of how St. Gobnait prevented raiders or robbers from stealing cattle. Gobnait commanded the bees from the convent hives to drive them away. When a plague threatened the people, Gobnait walked to the village border and drew a line in the earth with her walking stick. The pestilence halted before reaching Ballyvourney. The local chieftains, the O’Herlihys sought her help in a border war. One of her hives into a bronze helmet and the bees turned into soldiers. The O’Herlihys handed down the bronze helmet from one generation to another until it was lost in the 1700s. Another version has the beehive turning into a bell which then became Gobnait’s Bell. For more on St. Gobnait: Pilgrimage in Medieval Ireland and Pixie’s Pocket. St. Hilda of Whitby or Hild of Whitby (c. 614-680 A.D.) was a Saxon abbess and a member of the ancient Northumbrian nobility. She is frequently depicted with a pastoral staff and carrying an abbey church. There are often ammonites at her feet. The historian, St. Bede (who was about eight years old when she died), records she hosted the Synod of Whitby, at which Celtic and Roman Catholicism met to decide on liturgical matters in 664 A.D. She is an important person, and personality, in the history of the early development of Christianity in Britain. St. Hilda, or “Mother” as she was affectionately known, was a source of encouragement and counsel for people from all walks of life. Hilda was baptized at age 13 by St. Paulinus of York, who converted her great-uncle, St. Edwin, King of Northumbria and all of his court to the Christian faith. She lived the first half of her life as a noblewoman, but at the age of 33 she became a nun. Whitby Abbey was a double monastery housing both monks and nuns, and Hilda presided over both communities. Whitby Abbey became well-known as a place of learning. For more on her life, especially her importance to women in the Church, read here. St. Hilda is associated with several legends, especially turning snakes into stone. They told, how in their convent cell – A Saxon Princess once did dwell, The lovely Edelfled. And how, of thousand snakes, each one – Was changed into a coil of stone. When holy Hilda pray’d: Themselves, within their holy bound, Their stony folds had often found. They told, how sea-fowls’ pinions fail, as over Whitby’s towers they sail. And, sinking down, with flutterings faint, They do their homage to the saint. The legend goes that she turned all the snakes to stone in Whitby in order to clear the ground for a new convent. In response to her devout praying, the snakes coiled up, turned to stone, and fell off the edge of the cliffs after she cut off their heads with a whip. The absence of heads is also attributed to a curse by St. Cuthbert. It has become a tradition in Whitby to carve snakeheads onto ammonites. 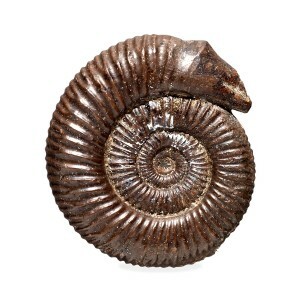 These snakestones, usually specimens of Hildoceras (named in honor of St. Hilda) and Dactylioceras are used for this purpose. Some of the carved and polished specimens from Whitby were found in Norway, clearly traded or transported by Norse settlers. In Elizabethan England snakestone brooches of jet were highly prized. Hilda was succeeded as abbess by Eanflaed, widow of King Oswiu of Northumbria, and their daughter, Aelfflaed. St. Hilda and Eanflaed were cousins. All three were buried at Whitby Abbey with St. Hilda. After the rule of Aelfflaed as abbess, nothing more is known of Whitby until it was destroyed by Vikings in 867. After the Norman invasion of England in 1066 AD, monks from Evesham refounded the abbey as a Benedictine house for men. It continued until the Dissolution of the Monasteries by King Henry VIII in 1539. According to local folklore, the the wraith of St. Hilda appears in the abbey ruins in a shroud; and the bells of the abbey can be heard ringing under the sea, where they sank with the ship taking them to London after the abbey was dismantled. 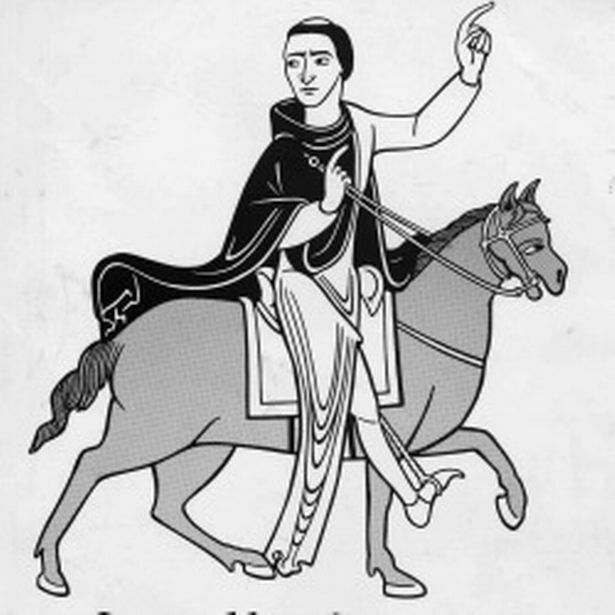 The 2013 novel Hild by Nicola Griffith is based on the life of St. Hilda. She also appears as a main character in Absolution for Murder, the first book in Peter Tremayne’s Sister Fidelma mysteries.